Using Pay With Points, available through American Express Travel, you can do more than merely book airline tickets. Hotels, rental cars, cruises, dining experiences, entertainment packages and even purchases through Amazon.com are payable with points. For our trip to Holbox, each plane ticket cost us 34,900 points. The rental car was 11,820 and our stay at the island’s best hotel, La Nubes de Holbox, was an extra 47,578 points. Finally, a good road map—suggested for the drive to/from the airport to the Holbox ferry—set us back another 1,016 points. Most of Isla Holbox, in fact, is uninhabited and reveals few signs of human existence. Holbox town is only a few square blocks. The vast majority of the 42km (26 miles) long island is an untouched nature preserve. Mangrove forests line the lagoon side of the island. Pristine beaches run the length of the Caribbean side. Between the two you’ll find flamingos, pelicans, exotic birds, lizards, the occasional small crocodile (and plenty of mosquitoes). Among the natural features you won’t find are rocks. The island doesn’t have any. No wonder the people who live on Holbox go around barefoot! Spot Cool Stuff came to Isla Holbox (pronounced “hole-BOSH”) on a challenge issued to us by American Express—to turn 150,000 Membership Rewards Points into a trip for two with WOW factor. We chose Isla Holbox in part because it is one of those special places that provides the feeling of having traveled to an exotic, hard-to-get-to locale without dealing with the hassle and expense of traveling to a place that’s actually hard to get to. Those heading to Holbox from a major airport in the United States or Canada: You could literally leave on a flight in the morning and be on a car-less Mexican island by sunset! And if that isn’t enough to draw you to Isla Holbox, the chance to go swimming with the world’s largest fish certainly should be. I am gong with 2 kids age 4 and5 in December/ Jan this year and was wondering if anyone could recommend nubs holbox or casa sandra hotel. I know nubs is out the way but would this be a problem. We have rooms at both and can’t work out chic would be best for us. 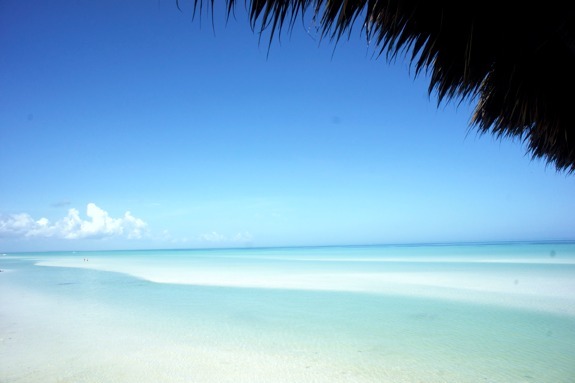 We are thinking about going to Holbox next February. Does anyone know if there are banks or places to exchange money? There are no banks on the island. There are places to exchange cash and higher-end hotels (like the Las Nubes de Holbox, where we stayed) take credit cards. Still, for spending money, best bring all the pesos you need. Can you speak to your experience renting a car? 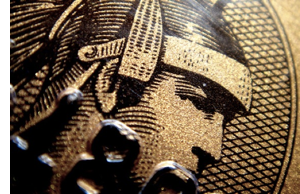 Were there unexpected costs? Did you use a company in the airport? We’ve seen a lot of discouraging posts about renting in Cancun. Are you able to share the company you used? We’ve seen per day costs of $10-$20, but are skeptical. I think you are right to be skeptical of the $10~20 a day rental car. We’ve rented cars in Mexico on previous trips for that price and, in addition to being crap rides, they came with all kinds of restrictions in regards to the miles, the speed you can drive, etc. Once they made us buy extra insurance at an exorbitant price. On this particular trip we rented our car through Hertz. At Cancun Airport they have a franchise location, not a corporate one, so they weren’t nearly as efficient or high-quality as you’d expect to find at an airport in the U.S.A. or Western Europe. But they were certainly good enough. Once we got our car, the most difficult part was finding our way to the Chiquila Ferry Port — that’s why we posted our detailed driving directions between the airport and Holbox. There were no other unexpected costs. Things often aren’t well sign posted (off of the main roads) in Mexico but other than that there were no hassles. In general, we’ve found the Yucatan to be a pretty good place to explore by rental car. We went to Holbox a couple years ago and it was pure paradise,I hope it will stay like this and never look like Cancun. The Horseshoe crabs on the beach are amazing, one of the oldest creature on earth. My wife and I are going to Holbox in mid-may. I noticed the fees for taking us there are quite steep. I thought I would rent a car and drive there. I saw your direction on how to get there and wondered if you ever felt unsafe driving through the roads. We do not speak a lick of Spanish (except Cervesa) and wondered if there was a chance of being in a compromising situation? We are not one to shy away from an adventure but want to make sure we aren’t being unsafe either. Any restaurants or bars not to miss? 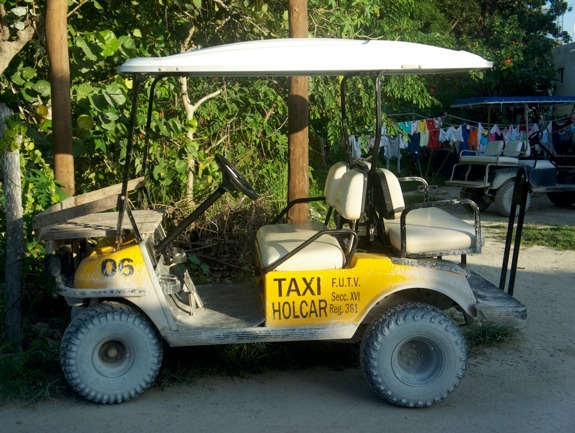 Yep, the fees companies charge to take you to Holbox are exorbitant. You are much better going on your own. We took a wrong turn and ended up in an area that felt a little sketchy. But we never felt like we were in any imminent danger. And we specifically published our Cancun-Holbox driving directions to help people avoid our missteps. If you follow that you should be fine. But if you are worried you can drive via downtown Cancun, though that hour is about an hour longer and is probably easier to get lost on. As for bars and restaurants, none are outstanding. We liked the very local Slow Food restaurant on the beach south of the main town. Have fun. And let us know how your trip goes. I didn’t try this, but I do know that the water is VERY shallow — as in, you can walk in it shallow — for quite a ways out from Holbox. So I suspect there’s no much fishing off shore. But I suppose it couldn’t hurt to try. No license needed! Bring a rod and fish off the beach anytime! The west point has snook. The east side river has mojarra and baracuda. Get someone to take you out for Corbina (sea trout).